This straightforward and effective how-to guide provides the basics for any journalist or student beginning to use data for news stories. It has step-by-step instructions on how to do basic data analysis in journalism while addressing why these digital tools should be an integral part of reporting in the 21st century. 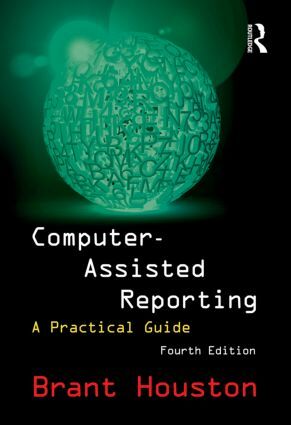 The book pays particular attention to the need for accuracy in computer-assisted reporting and to both the potential and pitfalls in utilizing large datasets in journalism. An ideal core text for courses on data-driven journalism or computer-assisted reporting, Houston pushes back on current trends by helping current and future journalists become more accountable for the accuracy and relevance of the data they acquire and share. "Brant Houston has done more for helping journalists learn database journalism than any other person on this planet. We wouldn't exaggerate. He's taught thousands of reporters how to crunch spreadsheets, query data and create geocoded maps." - David Cuillier, the University of Arizona, USA and Charles N. Davis, the University of Georgia, USA, in (2011) "The Art of Access: Strategies for acquiring public records". Brant Houston is a Professor and the Knight Chair in Investigative Reporting at the University of Illinois, where he teaches journalism and oversees an online newsroom. An award-winning journalist, he was an investigative reporter at U.S. newspapers for seventeen years. For a more than a decade, he served as executive director of Investigative Reporters and Editors, a 5,000-member association headquartered at the University of Missouri School of Journalism, where he also taught investigative reporting. Houston has conducted more than 300 seminars for professional journalists and students in twenty-five countries, and he is a co-founder of networks of nonprofit newsrooms and educators throughout the world.